Linda Ikeji net worth is rising daily as this entertainment blogger has gone far in her profession to reach this stage. Even Linda was so surprised to realize that her blog worth $1.2 million back in 2012, but I think she now knows better. While some believe that she worth so much, others think it’s just a sham, how could a mere blogger worth anything. 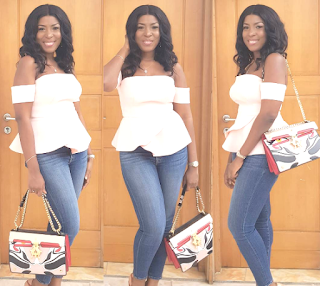 Do you care to know Linda Ikeji's 2019 net worth? Iit has grown bigger. First, we gathered much information about her acquisitions. She had spent about N50million collectively on cars both the ones for herself and the ones her family members, and another N300 million for two houses for her parents. However, we didn’t base our calculations on these since majority of the properties were acquired as gifts to her family. Nevertheless, it gave us ideas as to her true worth. For someone to acquire 5 cars and two houses within a year, that person must worth so much! Linda ikeji success story is inspiring though. Linda Ikeji net worth is somewhere around 3 billion naira in 2019. Secondly, we calculated Linda’s blog earning based on her currently verifiable advert rates and the Adsense revenue. Sponsored posts – N50,000 x 2 = N100,000 daily x 30 = N3,000,000 monthly. Total revenue from direct adverts = N19.5 million monthly. That is: 4,900 x 0.45 = $2,205 daily. From the above calculations, you’ve seen that Linda Ikeji is conservatively making -N31,737,750 monthly. Armed with the above information, it is now easy for us to arrive at her current net worth. So, we decided to engage the services of our in house web traffic appraisal expert. He used aftermarket procedures and the above monthly earning to calculate the worth of LindaIkeji.Blogspot.com to be $10 million. Could have worth more if the name is a top level domain name, which it actually is today. Finally, even if Linda is the most extravagant spender in Nigeria, she will still have nothing less than N500 million cash right now, which represents just 2013 and 2014 earning minus total expenditures. Linda Ikeji is Nigeria's biggest celebrity blogger with a net worth of $10.2 Million in 2015. Currently, Linda Ikeji has established her social media platform, TV, studio and other startups. The social media platform, "Linda Ikeji Social" has also its App., she has a music website called Linda Ikeji Music were she helps upcoming artistes in Nigeria to be promoted. Her full names are Linda Ifeoma Ikeji. She was born in the year 1980, on the 19th of September. She's a news blogger, entrepreneur, writer and ex-model. Linda Ikeji is known for Lindaikejisblog.com, her blog she started back in 2006 when she quit modeling. She's regarded as the Queen of blogging in Nigeria. 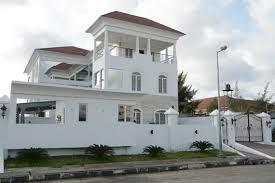 Linda Ikeji was born into a Catholic family from Nkwerre in Imo State, Nigeria. She had a flair for writing at the very early age of 10. Smart as she was, she rounded off secondary school at 17. When she turned 18, she applied at the University of Lagos (UNILAG). She's a graduate of English Language. 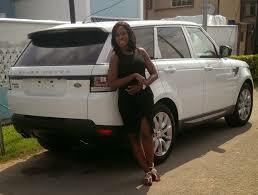 The celebrity blogger, Linda Ikeji's name had the hugest search quantity in for Nigeria for the year 2014. Nigerians searched for her name on Google so much that the keyword became so popular and most blogs wrote about her just to get traffic. Linda Ikeji was interviewed by British Broadcasting Service, BBC on their Focus on Africa Programme which aired on the 25th on September, 2012.